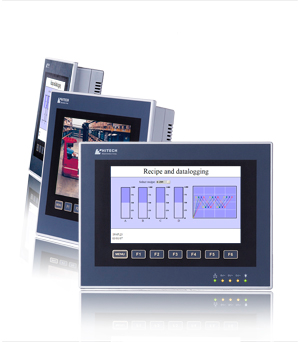 The PWS 6000 series offers valuable fundamental HMI functionality. The series include keypad and touchscreen interfaces and will be available in five different sizes from 3 to 10.4 inches. Offering three levels of functionality – Standard, Plus and Network – the PW 6000 series enables you to select and pay for what level of HMI technology you need. The Standard version includes most software and hardware requirements for an operator terminal in its size. The Plus version has the same functionality as the Standard version, as well as extended memory for data/recipe handling and a multi-function port for a printer.